Former Governor Alamieyeseigha has died. According to Channels TV, he died of cardiac arrest at the University of Port Harcourt Teaching Hospital, after slipping into coma two days ago and was placed on life support. The Bayelsa State Commissioner for Information, Esueme Dan-Kikili, who confirmed his death said that the death of the former governor was a great loss to the Ijaw ethnic group. There were reports during the week that the British Government was determined to resurrect an outstanding case of money laundering against the former governor and had requested for his extradition to London. Diepreye Alamieyeseigha was born in 16 November 1952 in Amassoma, Ogboin North Local Government Area,Bayelsa State. He attended the Bishop Dimeari Grammar School, Yenagoa. He joined the Nigerian Defence Academy as a Cadet Officer in 1974, then joined the Nigerian Air Force, where he served in the department of Logistics and Supply. He held various air force positions in Enugu, Markurdi, Kaduna and Ikeja. Alamieyeseigha retired from the air force in 1992 as a Squadron Leader. After leaving the air force he became the Sole Administrator of Pabod Supplies Port Harcourt. Later he became Head of Budget, Planning, Research and Development of the National Fertiliser Company (NAFCON). Diepreye Alamieyeseigha was impeached on allegations of corruption on 9 December 2005. Diepreye Alamieyeseigha was elected Governor of Bayelsa State in May 1999 as a member of the ruling People's Democratic Party (PDP). He was re-elected in 2003. Vice President Atiku Abubakar attended the March 2003 event that kicked of his campaign for re-election. Diepreye Alamieyeseigha was detained in London on charges of money laundering in September 2005. At the time of his arrest, Metropolitan police found about £1m in cash in his London home. Later they found a total of £1.8m ($3.2m) in cash and bank accounts. He has been found to own real estate in London worth an alleged £10 million. His state's monthly federal allocation for the last six years has been in the order of £32 million. He jumped bail in December 2005 from the United Kingdom by allegedly disguising himself as a woman, though Alamieyeseigha denies this claim. 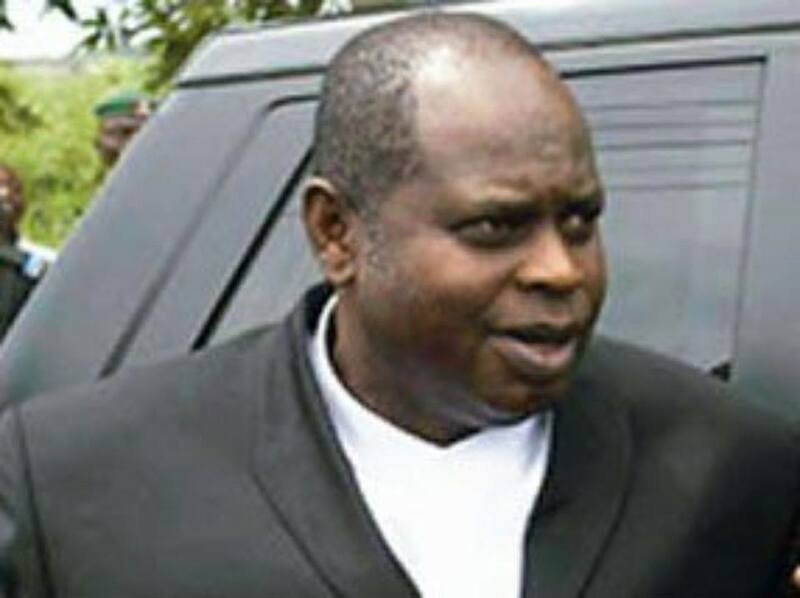 On July 26, 2007, Alamieyeseigha pled guilty before a Nigerian court to six charges and was sentenced to two years in prison on each charge; however, because the sentences were set to run concurrently and the time was counted from the point of his arrest nearly two years before the sentences, his actual sentence was relatively short. Many of his assets were ordered to be forfeited to the Bayelsa state government. 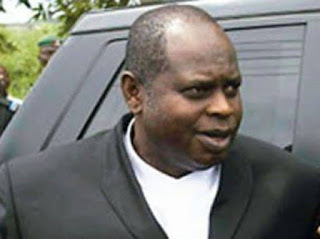 According to Alamieyeseigha, he only pled guilty due to his age and would have fought the charges had he been younger. On July 27, just hours after being taken to prison, he was released due to time already served. In April 2009, Alamieyeseigha pledged a donation of 3,000,000 Naira to the Akassa Development Foundation. In December 2009, the federal government hired a British law firm to help dispose of four expensive properties acquired by Alamieyeseigha in London. Alamieyeseigha had bought one of these properties for £1,750,000.00 in July 2003, paying in cash. Diepreye Solomon Peter Alamieyeseigha used it as his London residence, and as the registered office of Solomon and Peters Inc.
On June 28, 2012, the United States (US) Department of Justice (DoJ) announced that it had executed an asset forfeiture order on $401,931 in a Massachusetts brokerage fund, traceable to Alamieyeseigha. US prosecutors filed court papers in April 2011 targeting the Massachusetts brokerage fund and a $600,000 Maryland home, which they alleged were the proceeds of corruption. A motion for default judgement and civil forfeiture was granted by a Massachusetts federal district judge in early June 2012. The forfeiture order was the first to be made under the DoJ’s fledgling Kleptocracy Asset Recovery Initiative. On 12 March 2013, Alamieyeseigha was pardoned by President Goodluck Jonathan, but his pardoning was criticised by many.